At the end of a dirt road called Crane Walk is a nursery, Utopia Clivias. Within its treed seclusion is an enchanted garden. 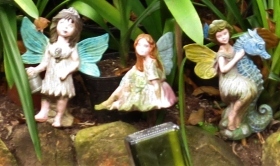 It is the home of fairies and cats, owls and clivias - in their hundreds. 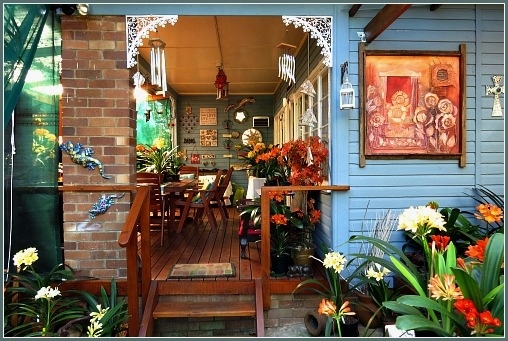 Carrie Kruger, her husband, Zwaai and three children, Luke, Kayla and Jade live in this magical hide-away. Her eldest son, Jason sadly passed away as a result of an unfortunate accident in 2009. Carrie started growing Clivias on a rented property at Karatara roughly two decades ago. When she found the large stand for sale on Crane Walk, it was a grassy untended plot with a sizable wooden holiday home that she felt would be an ideal fit for a growing family. Straight away she knew they should buy it. Over a period of time the property perimeter was screened with trees planted to give it privacy and the garden area was stripped of its thick laborious-to-mow wild grass in stages. 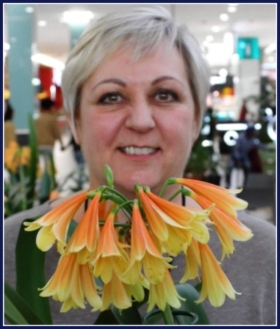 Carrie’s passion for Clivias took hold as she got more and more engrossed in their cultivation and in learning how to propagate new cultivars. 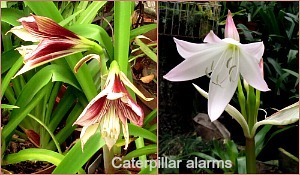 There are some plants like the Orange River Lily and Butterfly Amaryllis – lovely in their own right - that she grows, she explains, to act as caterpillar alarms. Because these plants are favoured by caterpillars she knows that if they appear there, she needs to take preventative steps to protect her beloved clivias from infestation. 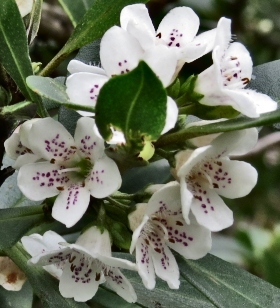 Carrie says this is a strongly male-dominated pursuit with only 10% of clivia specialists being women. 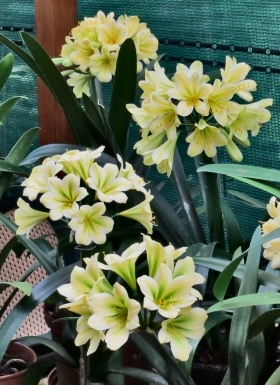 She is now a serious contender among the world’s top breeders of these plants and Utopia Clivias is a recognised nursery of high quality and special cultivars. 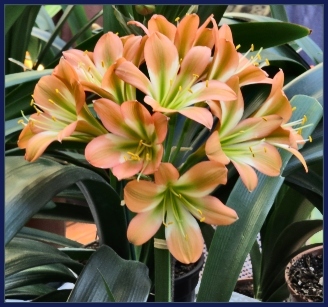 For the last 2 years it has been included in the Club Year Book that is sent around the world to other earnest clivia growers. 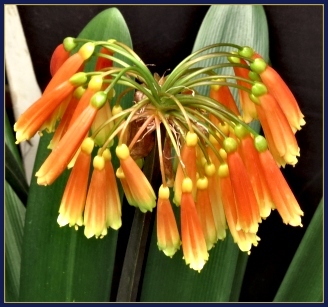 Many enthusiastic clivia gardeners are solely interested in adding to their own private collections. Carrie on the other hand has grown an international business doing what she loves that now supplies seeds and plants to a worldwide market via internet orders. 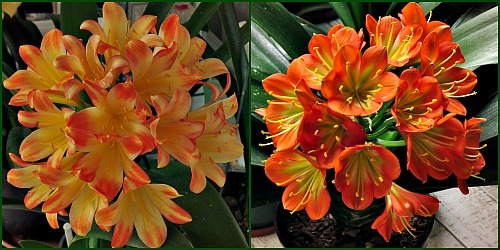 Although she is the prime motivator, all her family are involved to some extent in growing clivias. Her children have their own collections. 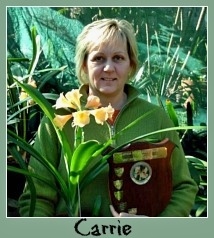 Carrie and her children have won countless awards with their clivias at specialist flower shows that are held annually in Cape Town, George and Mossel Bay. 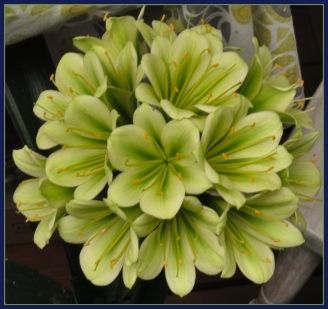 Carrie says her clivias are her passion and her therapy providing solace through difficult times. A multitude of beautiful trees have grown to provide shelter and a covering for hundreds of shade-loving clivias. 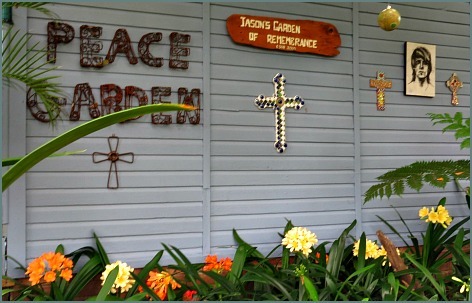 Over the years, through dedication and hard work, the garden that began as a blank canvas has been lovingly and imaginatively transformed into a vibrant, living, unique work of art. 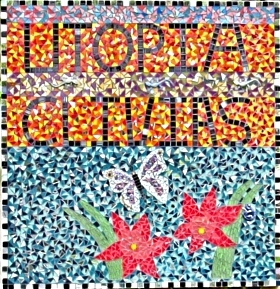 Carrie holds a few open days annually when Utopia's clivias are in bloom. 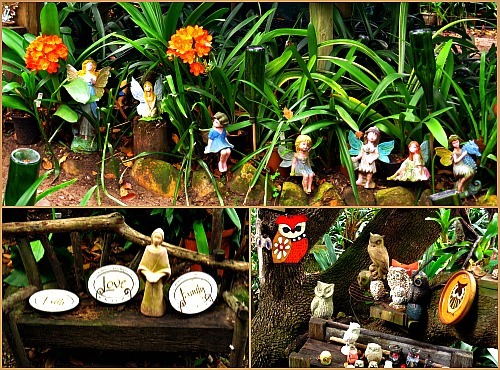 On these occasions she shares with the public her treasure trove of precious plants and sacred places. 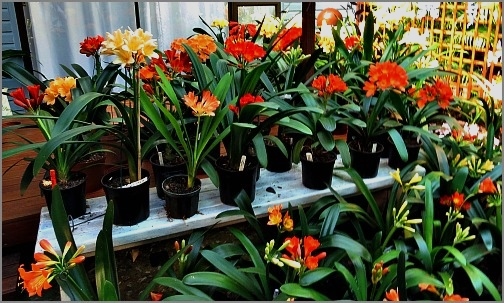 It’s also part of Carrie’s business philosophy to donate some of her clivias to worthy projects. 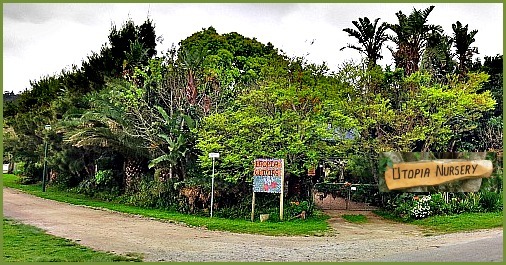 Last year, together with four other Garden Route nurseries she donated a good number of clivias to Sedgemeer Park Retirement Home to beautify their gardens when they extended their facilities to provide 12 new cottages. Another project, in memory of Jason, involves distributing seeds to interested school children around the world, free of charge. 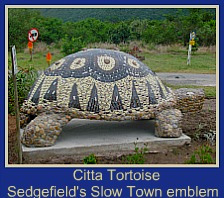 Isn’t Sedgefield fortunate to have this special place in our little village? Utopia Nursery was established in 1990 and has over the years produced some very special and unique clivias. 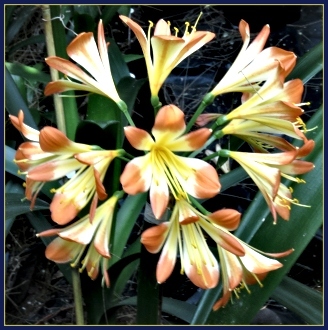 Thanks to modern technology, you are able to see their catalogue on-line and Carrie is able to send their rare and special seeds and plants to clivia enthusiasts anywhere in the world.